McLaren has, until recently, been better known for building specialized race cars rather than for making high-performance road cars. The P1 is considered a successor to the McLaren F1 street car, which was produced in the 1990s. The F1 was an extremely expensive, ultra-high-performance car costing upwards of $1 million when it was new. Today, used F1s can be worth about $5 million. The new P1 surpasses the F1's performance marks. McLaren also recently created the the MPC-12C road car. 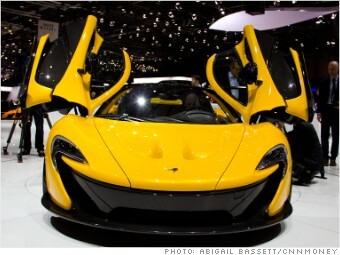 With its price tag of about $240,000, it is a relative bargain.